What's the risk of a natural disaster in New Zealand and around the world? New Zealand is precariously situated, jutting skyward between two colossal tectonic plates, slap bang in the middle of a deep ocean, and vulnerable to tsunami, earthquakes, storms, floods, and volcanic activity. A deadly natural disaster is possible. So what's the risk? Hundreds of deadly natural disasters occur around the world each year. A devastating landslide obliterated the Ngati Tuwharetoa village of Te Rapa on the south-west shore of Lake Taupo. Sixty people were killed, including the paramount chief Mananui Te Heuheu Tukino II. This remains New Zealand’s highest death toll from a landslide. Te Rapa sat below the volcanic springs of Mt Kakaramea. The missionary Richard Taylor recorded that an ‘unusually rainy season occasioned a large landslip’ on the mountain. The slip dammed a stream which, three days later, ‘burst its barriers, and, with irresistible force, swept rocks, trees and earth with it into the lake’. The avalanche of debris buried Te Rapa and only a few people managed to escape. In 1910, another landslide killed one person in a new village near the old site of Te Rapa. After this second event, the village was abandoned. The source of landslides is an unstable geothermal area known as the Hipaua Steaming Cliffs. This still causes problems for engineers working on State Highway 41, which passes between the cliffs and Lake Taupo. Waihi village now stands on the lakeside. In 1855 a magnitude 8.2 earthquake – the most powerful ever recorded in New Zealand – rocked the southern part of the North Island. Caused by movement along a fault in Palliser Bay, it altered the landscape of the Wellington region and affected its subsequent urban development. Shortly after 9 p.m. on evening of 23 January 1855 a violent earthquake began; in Wellington the main shock lasted for at least 50 seconds. People fled outdoors, where they remained for the night in tents and makeshift beds, as incessant aftershocks rocked the area – one person counted 250 in the first 11 hours. The aftershocks would continue for months. On 3/4 February a violent storm swept across much of the country, wrecking 12 ships – including the Star of Tasmania and Water Nymph at Oamaru – and causing flash floods. More than 40 lives were lost. On 14 May a sudden storm wrecked two large sailing ships, the City of Perth and Ben Venue, in Timaru’s exposed roadstead. Nine lives were lost. Among the dead were the port’s harbourmaster and five local watermen, who had tried to rescue the ships’ crews. On 10 June the volcanic Mt Tarawera, south-east of Rotorua, erupted spectacularly, killing perhaps 120 people and burying the famed Pink and White Terraces on Lake Rotomahana. The eruption lasted six hours and caused massive destruction. It destroyed several villages, along with the famous silica hot springs known as the Pink and White Terraces. Approximately 120 people, nearly all Maori, lost their lives. In the early hours of 10 June, people awoke to earthquakes, lightning, fountains of molten rock, and columns of smoke and ash up to 10 km high. People as far away as Blenheim heard the eruption. Some thought it was an attack by a Russian warship. A 17-km-long rift split Mt Tarawera and extended as far south as Waimangu. The eruption covered land with millions of tonnes of ash and debris, transformed lakes, and flattened bush. It was over by dawn, though ash made day as dark as night. Men from Rotorua and Ohinemutu formed rescue parties and began digging out survivors and casualties. Settlements at Te Tapahoro, Moura, Te Ariki, Totarariki, Waingongongo and Te Wairoa were destroyed or buried. Te Wairoa, known as ‘The Buried Village’, later became a tourist attraction. On 10 September 10 sulfur miners were killed on White Island when part of the crater wall collapsed, causing a landslide. The only survivor was the mining company’s cat, Peter the Great. White Island, in the Bay of Plenty 50 km from Whakatane and Opotiki, is New Zealand’s most active volcano. Sulfur mining on White Island recommenced in the late 1920s but proved uneconomic and ceased in the early 1930s. A total of 11,000 tonnes had been obtained. Today the island is a privately owned scenic reserve and tourism venture. On 17 June 1929, at 10.17 a.m. an earthquake measuring 7.8 on the Richter scale struck the north of the South Island, killing 17 people. 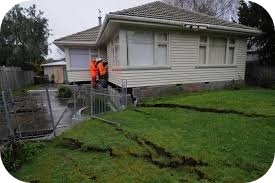 The shock was felt throughout New Zealand but centred on the Murchison area, where it caused massive landslides. For days preceding the earthquake, booming noises had been heard in the hills around Murchison. The earthquake itself was exceptionally noisy: rumblings were heard in New Plymouth, over 250 kilometres away. When the main shock struck, wooden homes warped, twisted and shifted from their piles, and chimneys and water tanks collapsed. People scrambled outdoors, but once there found they were unable to stand. On Tuesday morning, 3 February 1931, at 10.47 a.m, New Zealand’s deadliest earthquake devastated the cities of Napier and Hastings. 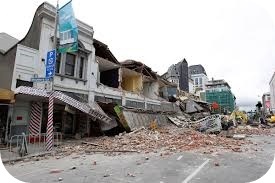 At least 256 people died in the magnitude 7.8 earthquake – 161 in Napier, 93 in Hastings, and 2 in Wairoa. Many thousands more required medical treatment. As buildings began to disintegrate, many people fled outdoors into a lethal rain of chunks from ornate facades, parapets and cornices. Buildings swayed violently, and their walls bulged and collapsed into the streets in avalanches of brick and masonry that crushed vehicles and people. Within minutes of the earthquake, fire began in the business district. Firefighters were almost helpless – water pressure faded to a trickle as the reservoir emptied. After the earthquake most homes lacked water, electricity, sewerage and chimneys, and people camped in open areas as continuous tremors made it dangerous to stay inside. On 19 February a flash flood swept away a Public Works railway construction camp on the East Coast. Twenty men and one woman drowned when a cloudburst sent a wall of water surging through a public works camp in the Kopuawhara Valley, near Mahia. Located on the banks of the Kopuawhara Stream, the no. 4 camp accommodated workers building the Wairoa–Gisborne railway. Although the stream was in flood after heavy rain, the 5-m-high wall of water that hit the camp sometime after 3 a.m. took everyone by surprise. Water began pouring across the campsite, sweeping away everything in its path.Some men took refuge on the roofs of huts, but most of these structures collapsed. On 24 May an earthquake measuring 7.1 on the Richter scale struck the Inangahua area on the West Coast. Three people were killed. The Inangahua tremors triggered numerous landslides in the surrounding mountains. A huge landslide dammed the Buller River above Inangahua Junction. The rising water backed up for 7 kilometres, raising the river 30 metres above its normal level. If the landslide dam had burst, the river would have flooded not only Inangahua but also Westport. Everyone in its path had to be evacuated. On 4 September 2010 at 4.35 a.m, the Canterbury region was struck by a magnitude 7.1 earthquake. Although there were no deaths, this was – at the time – the largest to affect a major urban area since the 1931 Hawke’s Bay quake. Many thousands of people faced a massive clean-up, the rebuilding of their homes and businesses, and a lengthy process of physical and psychological recovery - while being jolted by aftershocks, and living in fear of another large earthquake. At 12.51 p.m. on 22 February a 6.3 magnitude earthquake struck 10 km south-east of central Christchurch at a depth of only 5 km. The death toll was 185 making it New Zealand’s worst natural disaster in terms of loss of life since 1931. Although not as powerful as the magnitude 7.1 earthquake on 4 September 2010, this earthquake occurred on a shallow fault line that was close to the city, so the shaking was particularly destructive.The earthquake brought down many buildings damaged the previous September, especially older brick and mortar buildings. Heritage buildings suffered heavy damage. Liquefaction was much more extensive than in September 2010. 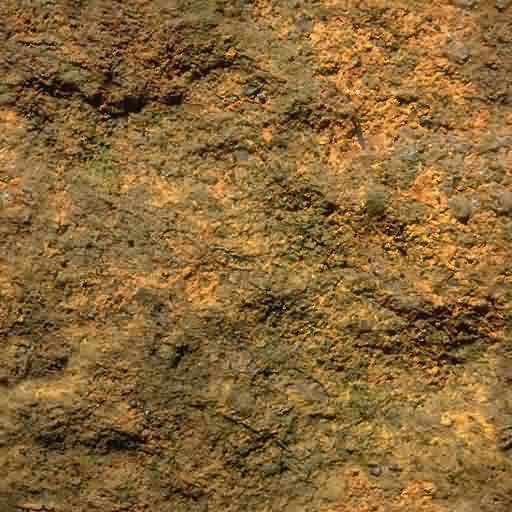 Shaking turned water-saturated layers of sand and silt beneath the surface into sludge that squirted upwards through cracks. Thick layers of silt covered properties and streets, and water and sewage from broken pipes flooded streets. 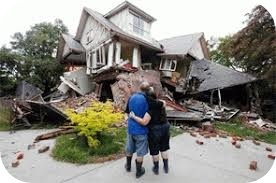 House foundations cracked and buckled, wrecking many homes. Irreparable damage led to the demolition of several thousand homes, and large tracts of suburban land were subsequently abandoned. Power companies restored electricity to 75 per cent of the city within three days, but re-establishing water supplies and sewerage systems took much longer. At 12.02 a.m. on 14 November a magnitude 7.8 earthquake struck New Zealand, causing significant damage to buildings and infrastructure in southern Marlborough and northern Canterbury. Landslides cut off road and rail links to Kaikoura, stranding large numbers of visitors in the popular tourist town. Two people lost their lives: one at a property in Mt Lyford as a result of a heart attack and another when a homestead collapsed in Kaikoura.